"Down By The Riverside" is just one of the titles used for this numbers. Others include "Ain' Go'n' To Study War No Mo," "Ain't Gonna Grieve My Lord No More," "Ain't Gwine To Study War No More," "Down By De Ribberside," "Down By The River," "Going To Pull My War-Clothes" and "Study War No More." 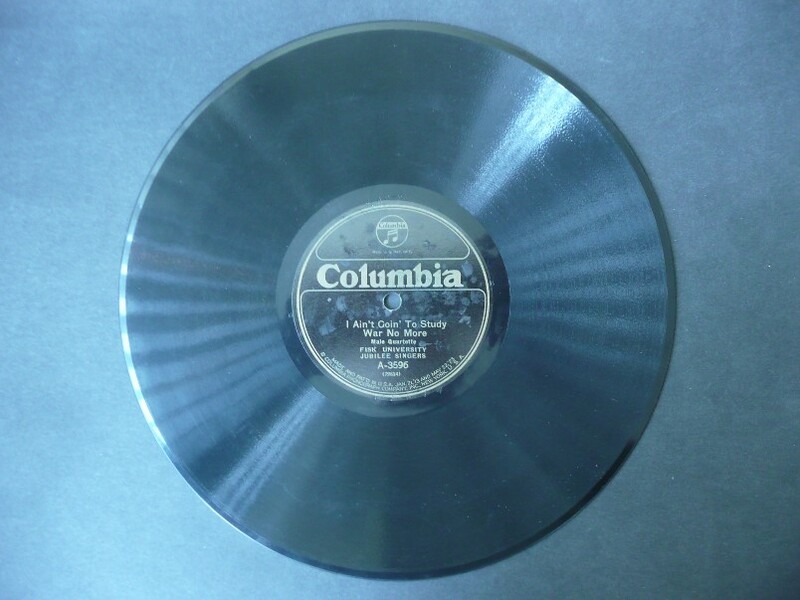 The original recording by the Fisk University Jubilee Quartet, made on 29 December, 1920, was titled "I Ain't Goin Study War No More" and was released on Columbia A3596 in 1922. Elvis sung along on this traditional gospel number with Carl Perkins and Jerry Lee Lewis during the Million Dollar Quartet jam session at the Sun Studios in December 1956. It would be almost 10 years, however, before he recorded a more secular version of the number for the soundtrack of the film "Frankie and Johnny," where it was coupled with "When The Saints Go Marchin' In."